I hadn’t planned to spend my entire afternoon like this. At least not at first. I was in town, with a few hours to kill and I knew exactly what I wanted to do with them. I always know, but I never get round to doing it. Instead of window shopping or sitting in a cafe trying to figure out whether the man next to me is just fidgety or is busy masturbating. (This happened once, in Java Capital Centre). The original plan was pretty simple. Stop at McMillan Library for half an hour and then proceed to the Archives to renew my membership. I have been a lazy student of history, letting my membership expire last month and even yanking the passport photo to use in a different project. I was out to change this, and the capital city’s surprisingly sweltering August heat was not making it easy. I was a man on a mission, a mission through time. The thing about getting to McMillan Library is that it is easy but it is not. There is a mosque nearby, and there are always dozens of people standing outside. Most of them talk in Somali, or versions of it, and a keen ear can catch other dialects. You must walk the distance, because there is never any parking space. There is always some guy in a Toyota Wish in a parking spot with his engine running. There is always the old woman who sells dates outside the mosque, and the one next to her who sells perfumes. There is haggling, noise, and if you choose the wrong hour, crowds and the sound of prayer blaring from an overhead loud speaker. But I got there, despite my brain’s postmodern evolutionary instinct to appreciate all forms of distractions. I needed to visit the library. This legendary building that overlooks Wabera Street. That has stood there for decades, overseeing as the empty land around became a concrete jungle. Last year, I was working on something that required me to delve through lots of history. But McMillan was closed the entire time, ‘Undergoing renovations’ is what the news pieces said. When the library was reopened this year, I felt meh. Meh and Bleugh. That meh feeling you get when your crush waits until you are both married to tell you she felt the same way too. Unrequited Lust. But I went. I went today. I walked in carrying my laptop bag and my fatigued brain. Walked right to the man sitting behind the counter. The man who took almost a minute to move his eyes from the paper he was reading to my awkwardly smiling face. I hate meeting new people, especially men. I never know what to say to them, about what I need to do. Other people make it look easy. My missus has an opening line and a friendly smile she flashes out almost instantaneously. I can never get it, I tell her, and I never know what to do when she is going through the pleasantries. Sometimes I stare at the oranges, other times I admire bananas or stand there awkwardly. But it works like a charm, I have learnt, and breaks the ice better than my dry requests. The man behind the counter turned out to be slow, too slow for my liking. He understood my question, and ignored my shocked look when he told me that there is no membership program to the library. 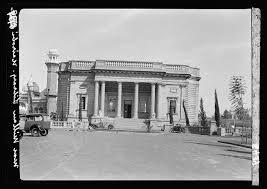 200 bob for every visit still sounds like a robbery, no wonder no one knows what McMillan hides underneath. I wanted to tell him that, but I was just here to satisfy a curiosity I have had for a while. 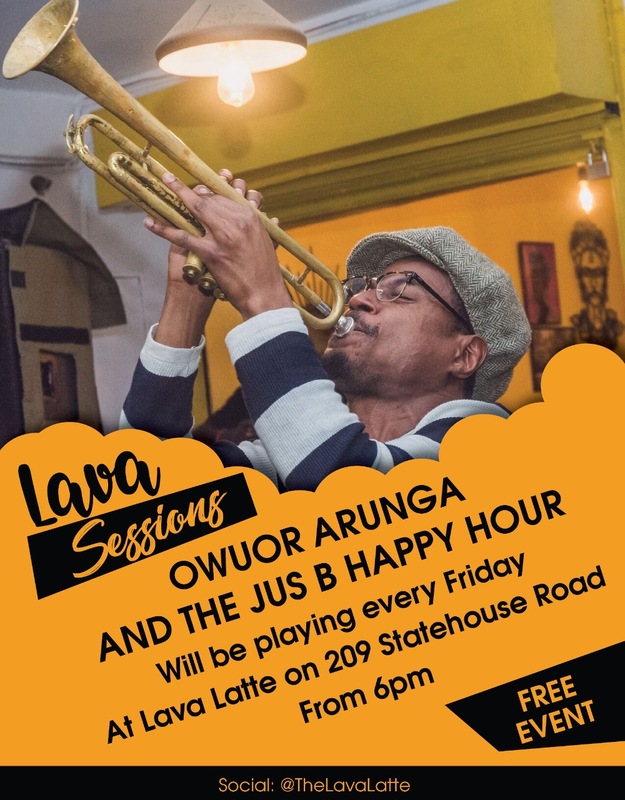 200 bob is what it would have cost me to renew my annual membership at the Archives. Just that and I get to sit upstairs and access all the records I want. Yet here I was being told it was a daily subscription, history taking its time to rob you off your money. But I was already there, there was no turning back. So to a small heavy wooden door at the right corner he led me. Down a spiraling flight of stairs, into McMillan’s underbelly. It is dark, smelly, and dusty. That musty smell of old papers. There is a single light on, spreading its light upon what looks like someone’s desk. It smells papery, not the kind of recently aging papery that you get from a lawyer’s office, but the kind of mustinessthat tells you you are now in the annals of history. You are now seeing what was once the present, from what was once the future. That you are going to touch papers older than you, older than your father. Papers that were printed when your grandfather was just a houseboy, or a home guard, or a health officer. Something. You can smell the age down here. You can smell the dust. You can smell the loneliness. Pity whoever has an office down here. But if you are a history freak, all these smells mean one thing, TREASURE HUNT. You are here to find out what other people have missed. To finally answer a question that has been bugging you for weeks. A research question for school. Or work. I doubt anyone else comes here for pleasure. With no plan. But I did. I didn’t even know I didn’t have a plan until the man who had brought me here asked what newspapers I wanted to access. I am distracted now, by the big blue files on the table marked DAILY NATION, 2004, and DAILY NATION, 2007. Okay then, what year? He asks. I expect him to be impatient with me by now but he isn’t. I figure he was bored before I got there, or something. I am perusing through the blue files, reading a story of the man who sold Kibaki land in Othaya, twice. I know his grandson, I realize by the name. I should probably Instagram this, I think. What I get are three big dusty files marked DAILY NATION, 1960. 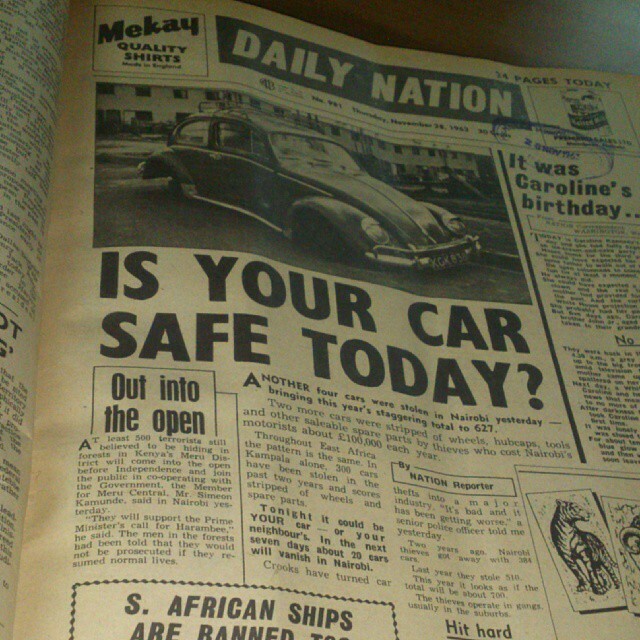 The first one I open has the very first issue of Daily Nation ever published, in 1960. I pore through its dusty pages, getting lost in just how boring black and white newspapers I are. I get bored by the distinctively British news, until I get to the comment section in later issues. One reader is so incensed he suggests the paper rename itself ‘The Daily Aberration.’ It is pro bono work, his suggestion that is, he adds. Chuckles. Another chides it for tribalism, and yet another doesn’t like the way the newspaper is designed. My interest piqued by nothing in particular, I get totally lost just turning the pages and seeing Tom Mboya. He will be assassinated in 9 years, I think. There is a small new story on a case where a suspect who had stolen from Moi tried to jump from his box and attack the judge. Crown Counsel Charles Njonjo, who was prosecuting the case, got threatened too. They will be best buddies, I predict, the prosecutor and the aggrieved, and then the latter will screw over the former, in 20 years. I feel powerful, as if by my mental declarations I am committing the people in these stories to their respective fates. I pore through them, my mind searching for something. I go through the pages, eating into the full-page advertisements. I do not even notice the man from the counter leave. Or the lady who presumably sits at the lonely desk walk towards me. I notice her when she asks me whether I have paid, a question I will get asked by everyone who finds me sitting there, alone. Until I get suspicious over this payment. I get other files, from 1963, and see the furore that was the Independence Celebrations. There are many photos, lots of text, and lots of things about the Mau Mau, a full page spread sponsored by CALTEX bearing the itinerary of the days leading to and during the first Jamhuri Day. The Garden Party was going to be cancelled if there was wet weather, the program says. I see Kenyatta in his Lincoln convertible, a car whose story I have been yearning to tell, and decide to search for any news columns on it. Nothing, except a mention that it was a gift from the US. Lots of photos of a much younger Prince Philip, and a youthful Aga Khan. The youth is flushing across these men’s cheeks, even in these black and white photos. Fifty years have passed, and these men still hold the positions they held that day. It is as if time has arrested them in their thrones, but aged their bones. There is a headline story from November 1963, about car theft. 627 car owners have found their automobiles stripped, left sitting on the ground like a toddler, by clearly efficient car thieves. Nairobi, my city, you have not changed one bit. Except now people will yank out your side mirror as you sit in traffic. They will do it as if they have all the time in the world, and it will not make headline news. Also, it was Caroline’s birthday. As I delve deeper and deeper, stopping once in a while to answer to the only question everyone seems to be asking, I do not notice the time pass. The muffled sound of a bell startles me, and it takes me a minute to realise it is from upstairs. What if I hide here, I think, and spend the night doing nothing but sniffing dust and seeing Kenya through the lens of her newspapers? The LegCo Hansards is also inviting, I could read that from 3am onwards, I think. The man who brought me here comes back and asks me the very same question everyone has been asking. I answer no; he fishes out a register and asks me to write my name. Then he takes my money and turns. I hold my gaze, waiting to see whether he will put it in a till or something. I smile as I see him sliding it into his pocket. It makes sense now. It makes sense when he asks me whether I will be back soon. I do not answer him, but I know I will be back. Soon.